Through the speaker on my phone, her voice comes across with a perfect mix of strength, confidence and humor: exactly the traits I’d want in guide taking me up the side of a giant volcano. Emily Johnston is one of International Mountain Guides’ (IMG) few well-seasoned, female climbing guides, which in itself is pretty cool. 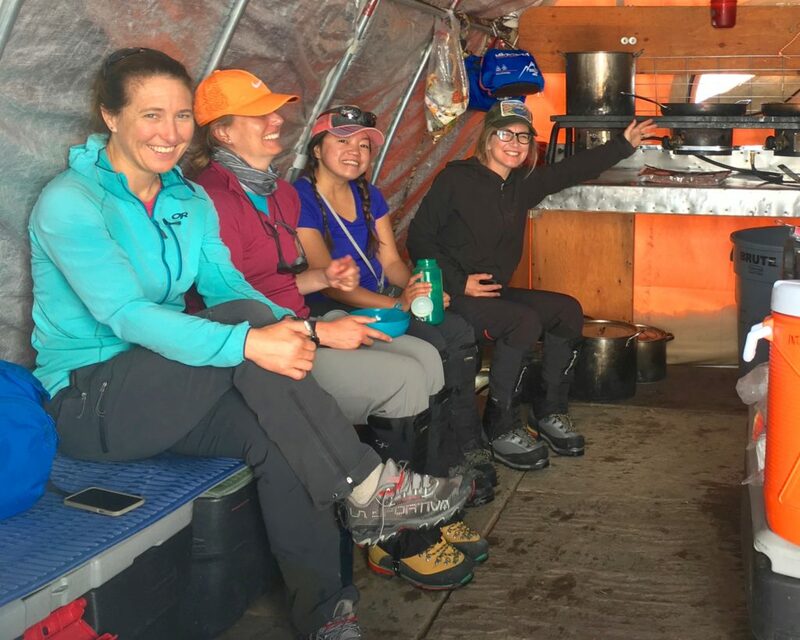 But she’s not just any guide, she has decades of climbing and medical experience—and holds the title of being the first woman to guide an all women’s climb up Denali. That was back in 1995. She’s lived through a lifetime of adventures since then, and now she’s leading groups of women up Mt. Rainier. While Johnston speaks with clarity and sureness—ending each sentence with a defined period instead of a cautious question mark—she is certainly humble. It’s only after our interview ends and I hang up the phone to do my own research that I found out the breadth of her accomplishments. My Google search reveals a woman who has been climbing since she was 12 years old. She summited Glacier Peak by the time she was 13 and climbed the North Cascades of Washington, Oregon and British Columbia all through her teens. 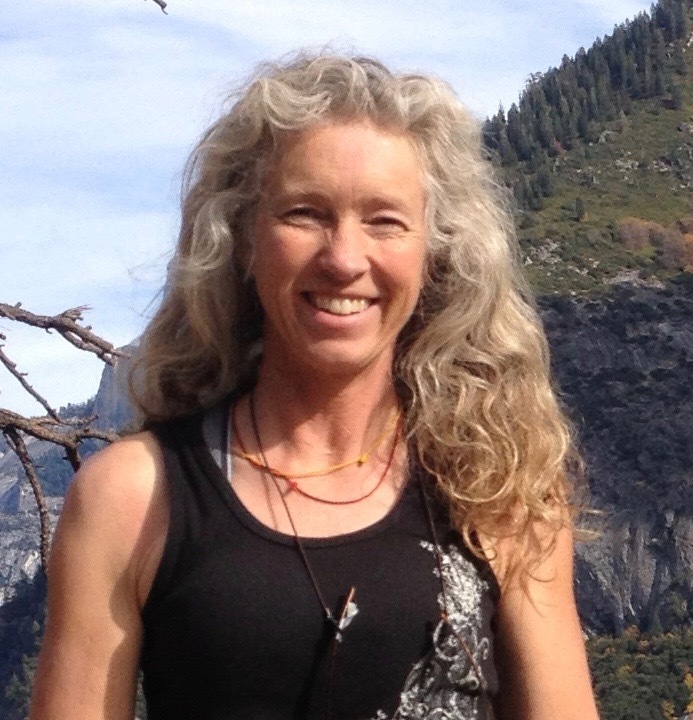 As soon as she was out of college, Johnston began guiding for Outward Bound in Joshua Tree and Central Oregon. Then, in 1989 she took her skills to Mt. Rainier. Since then, her guiding adventures have taken her all over the world to places like Alaska, Antarctica and the Himalayas. But her accomplishments don’t stop there. A little digging revealed a woman who, according to an article in Women’s Adventure Magazine, started her first year of graduate medical school at 39 years old. She graduated at 44 and went on to complete her residency at age 47. 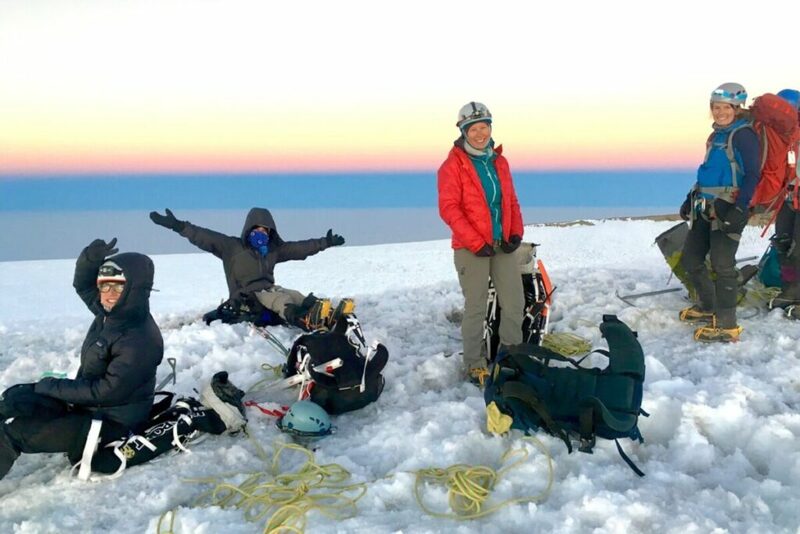 At the time the article was published (Feb 2015), Johnston was 51 and declared “…the oldest woman working on Mount Rainier…” A couple of months later, on April 25 of 2015, she earned yet another title: Mt. Everest earthquake and avalanche survivor. Her personal account of surviving the avalanche is featured in a piece she wrote for SELF that was published May 5, 2015. 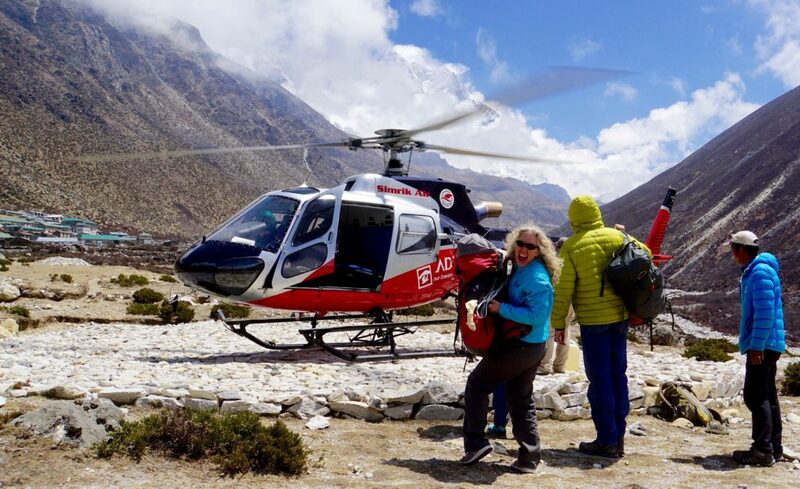 As both a seasoned guide and ER doctor, it was likely one of the most challenging moments in both of her careers as she found herself pulled between her guide duties and her urge, as a medical professional, to help the injured. My interview with Johnston hadn’t revealed the harrowing and heroic details of her past. It had remained fun, relatively light and focused on IMG’s Mt. 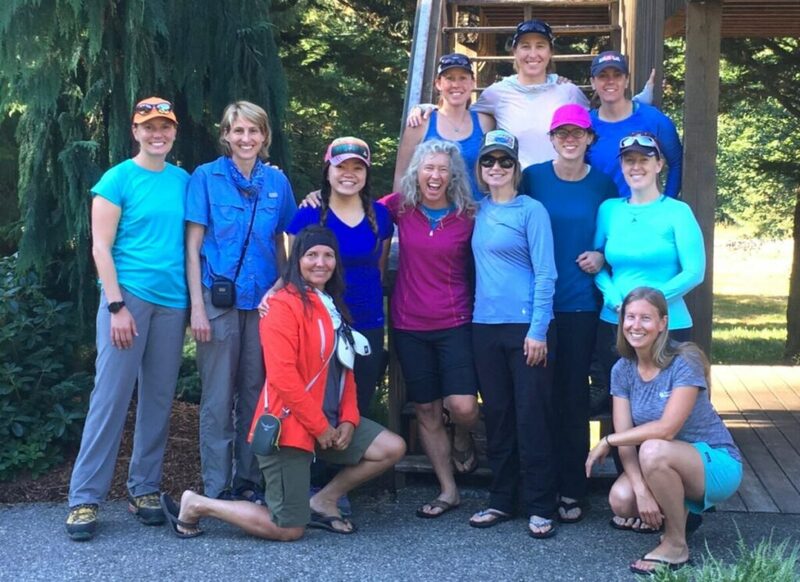 Rainier All Women’s Climbs— the story I intended on writing about. Now in its third year, Johnston is the senior guide heading up these treks, and she was my point-of-contact. My talk with Johnston shed light on IMG’s valuable programs. But it is the combination of what she had to say about them, and what I uncovered about her, that makes them a priceless opportunity for any woman interested in adventure and exploration. When I asked Johnston how the IMG All Women’s Climbs came about she said, “There weren’t many other all women’s climbs. 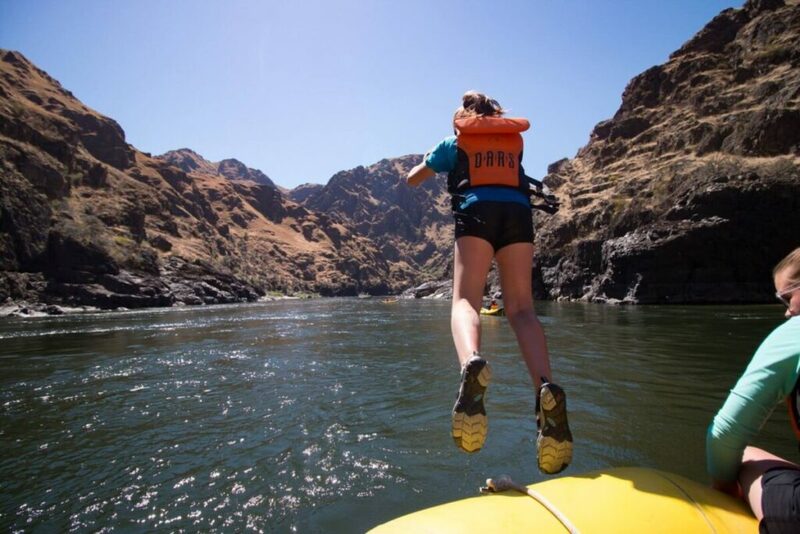 It came up in conversation with other female guides and that was the inspiration.” It was that simple. She took the idea to IMG and they gave it a go. “It’s been incredibly popular and super fun,” says Johnston in regards to the women’s program. But she wants to make it clear that the program isn’t altered in any way to be easier. “It’s not watered down in any way. We do the same thing that we do in all of the programs, but it’s done with a team of strong and competent women leading,” says Johnston. Johnston estimates that she was the fourth or fifth woman to guide on Rainier. When asked about the conditions of working in a male-dominated industry she says, “I didn’t encounter a lot of problems because I was confident. I had been climbing for a long time. If anyone was giving me a hard time I just didn’t notice.” But she recognizes that not all female guides have the same experience. That’s why she has started an organization called Professional Women Climbers. It is a mentorship program that is designed to connect new guides with seasoned guides who are women. According to Johnston, the IMG All Women’s Climbs have a similar effect on clients. She says, “When I did the first all women’s climbs, I realized what was normal for me wasn’t normal for everyone.” That’s the key to the program. “It was empowering for people who came and climbed with us to see that this was totally normal for us and to realize, ‘I can do what they are doing,’” says Johnston. 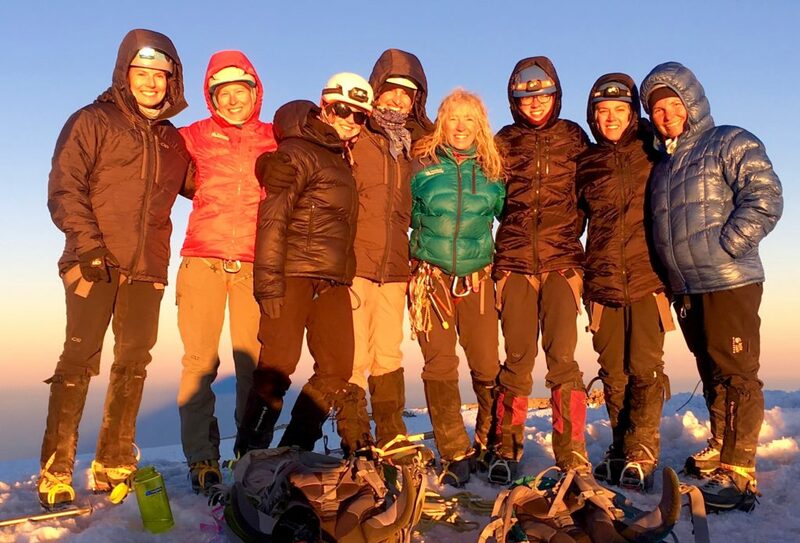 Along with women discovering their abilities, they come off of the mountain with new friendships and connections that last. Bonus: New this year, Johnston will be contacting participants ahead of time to brief them on the climbs and advise them on training for the experience in advance. Please note: Johnston did tell me that these climbs book out well in advance. The information was released a couple of weeks ago. If you are interested reach out asap.